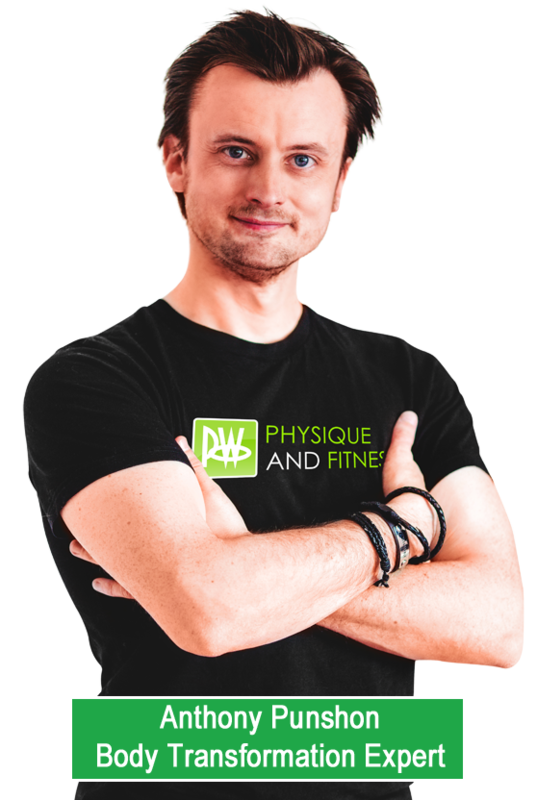 Personal Trainers and Boot Camps in Worthing and West Sussex | At PW Physique and Fitness Worthing, our health inspired workouts will help anyone become fit and build muscle quickly and safely. – At PW Physique and Fitness Worthing, our health inspired workouts will help anyone become fit, lose weight, and build muscle quickly and safely. I’m Anthony Punshon, and I’m going to tell you a little secret. I’m not like most trainers. I’m not naturally athletic, and I personally know how it feels to be too afraid to take my top off at the beach, dodging cameras because I was too embarrassed about how I looked, and wearing clothes that were way too big in an effort to hide my body. So I did what they told me in the magazines, drinking green sludge and downing magic pills. But all I got for my effort was chronic lower back pain. So after a scary photo moment… You know that one photo that makes you feel like someone just punched you in your stomach… I got educated. I stayed up late under torchlight reading text book after text book. Study after study. Cramming every bit of real, scientific fitness information I could find. I got back in the trenches, and finally gave my useless genes a kick up the backside! Now I’ve helped hundreds of your Sussex neighbours burn lingering fat once and for all, melt their muffin top, tighten their trouble spots, and slip back into their favourite jeans, and I’d love to do the same for you. Combine the Ultra Fun Environment and Cost Effective Structure of a Boot Camp WITH the Individualisation and Extra Coaching of Personal Training. Sussex’s #1 group Metabolic Resistance Workout system specifically designed to burn fat and tone your whole body in just 30 minutes per session. Sally lost more than 2 stone! I was a classic dieter. I tried Weight Watchers, Slimming World, milkshake diets, and slimming tablets – which may I add made me very ill! Although I did lose some weight on these diets I always put it back on, plus more just to rub it in! I’m always getting compliments when I bump into friends and family and even the school mums say how good I look and ask how I’ve done it. I feel so much better in myself now. I’m fitter, stronger, and so confident. 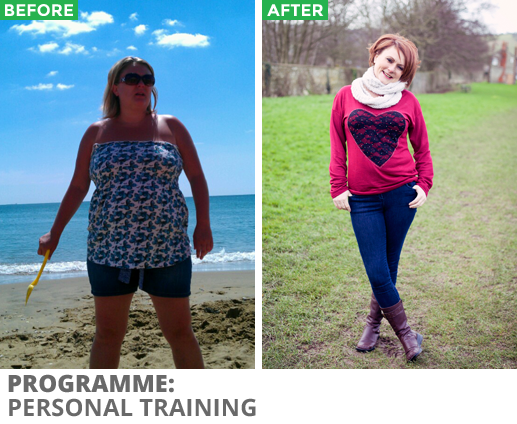 – Sally T.
Jane lost 2 stone and 3 dress sizes! 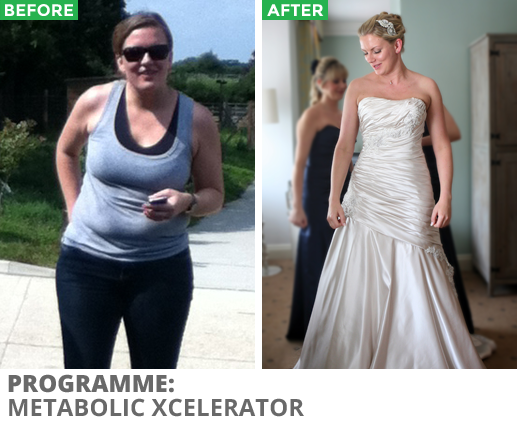 Over the last 10 years I have tried literally all the diets that you read about in the papers in a vain attempt to make myself magically get thin… I have always lost a bit and then put on more within a few months… When I started to plan my wedding in July 2012 I had to do something different. After a quick Google search, I found Anthony and I have not looked back since! Since joining I’ve dropped 3 dress sizes, run an Army assault course, run the Brighton Half Marathon, and made some amazing friends who inspire and motivate me to carry on! 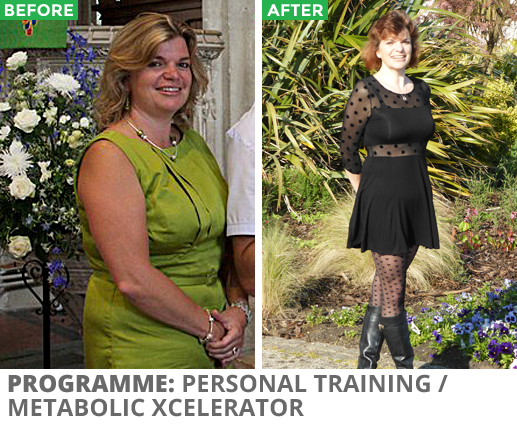 – Jane D.
Lindsey lost 4 stone and 13 inches from her waist! My kids would keep asking me if I had a baby in my tummy. I knew I was overweight, but surely it wasn’t that bad. Then on holiday, my partner took a picture of me on the beach, and oh my God, I looked nine months pregnant! I’d had enough. I needed to take control of my weight. My saviour was my Personal Trainer, Anthony. He never judged me. His reaction was, “We can do this.” I lost my first stone quickly, and then through consistency it has just steadily come off, amounting now to 4 stone and 5 dress sizes! 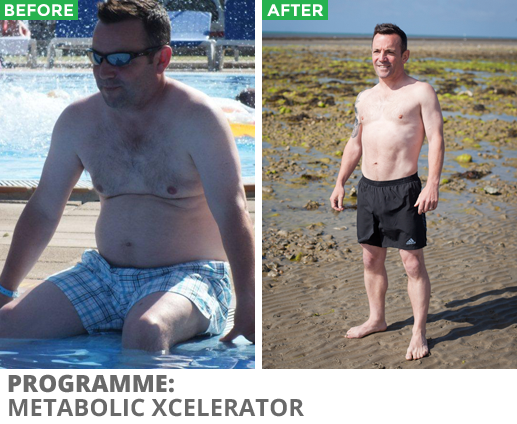 – Lindsey B.
Kev lost over 5 stone and 14 inches off his waist! I was 18st 8lbs at my biggest, and I’d resorted to using an elastic band to hold my trousers closed! I’d got so big I didn’t care what I looked like. My wife signed me up to Anthony’s training, and the first week I lost 9lb! The best thing about Anthony’s training is that it wasn’t difficult, there wasn’t any point counting with what I ate, etc. I just did what he told me and at the time of writing I have lost over 5 stone! 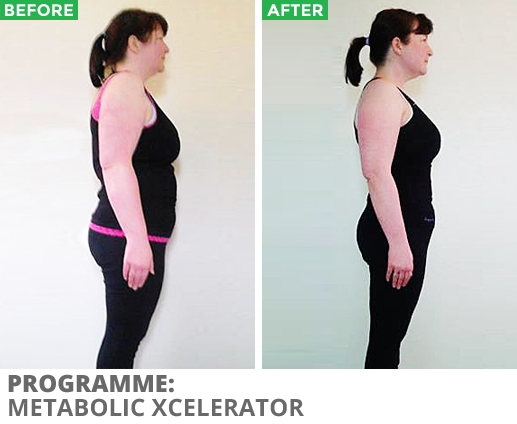 – Kevin M.
Marilla lost 3 inches off her waist in only 21 days! I feel so good and look so much better after just three short weeks! I can honestly say, hand on heart, that this is the easiest, most fun weight-loss plan I have ever taken on. Anthony has been there every step of the way with advice and support. The last week was tough because I was pre-menstrual and on the lowest calorie limit of the three-week plan. But I didn’t go crazy and order pizza. I just ate a little extra sensible food and I still lost weight! 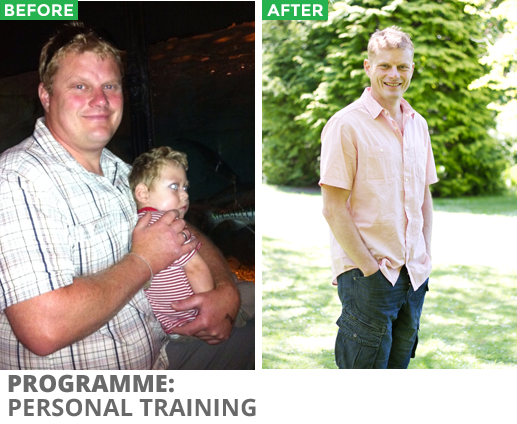 – Marilla W.
Steve swapped his beer gut for a six pack! I worked with Anthony harder than I had ever worked in my life working out and on the diet. I thought this is my golden opportunity to do this I will not waste it. I mean what’s 12 weeks out of the rest of my life. I exceeded all my expectations. I had my 6 pack on 17th December – sorry did I say 6… I meant 8! I was ecstatic, he motivated me to go but I pushed my self to my limits to achieve, I Realised the Dream! I managed to drop my weight to 12 stone 5 the lightest in 15 years and my body fat to 9%. In total I had lost over 5 inches off my waist! 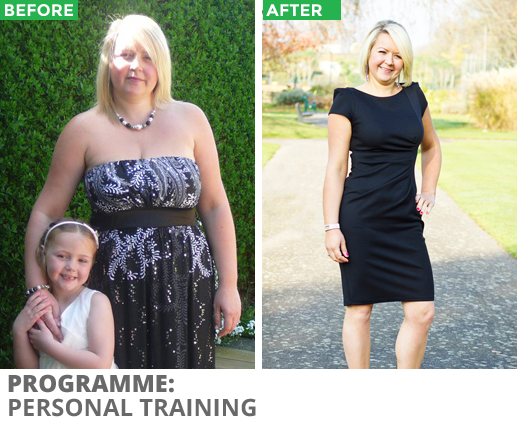 But more than that I had confidence in myself and my abilities.‎ – Steve M.
Nicole lost 2 stone to get into a size 8! When my then boyfriend mentioned I’d put on weight, he actually did me a favour because it made me think, “I need to do something about this to make him fancy me again!” I saw Anthony’s Boot Camp advertised and knew I’d be able to make it there before work so I signed up immediately! A few months later, and I bought three dresses in a size 10 and one in a size 8; I never thought I’d be able to get into a size like that! I feel like a new woman. I feel amazing! The happiest I’ve ever been and so super-duper confident! – Nicole P.
Melody lost 23lbs to look better than her wedding day! My daughter was nearing 7 months old and I was 5lbs heavier than the week we’d returned from hospital! I wasn’t happy having to choose loose fitting clothes or breathe in all the time, or looking at photos of myself with a double chin or looking twice the size of all my friends. But most of all I wasn’t happy with the example I was setting my daughter. I joined Anthony’s 28 day transformation challenge and by the end I’d lost 11lbs, the same amount it had taken me almost 6 months to lose for my wedding! After another 6 weeks I lost another 12 and I’m now back to the weight I was on my wedding day, except now I’m a lot more toned! – Melody C.
Ali dropped over 20lbs and 2 dress sizes! Although I’d lost some weight doing quick fix diets in the past, I always put it back on. 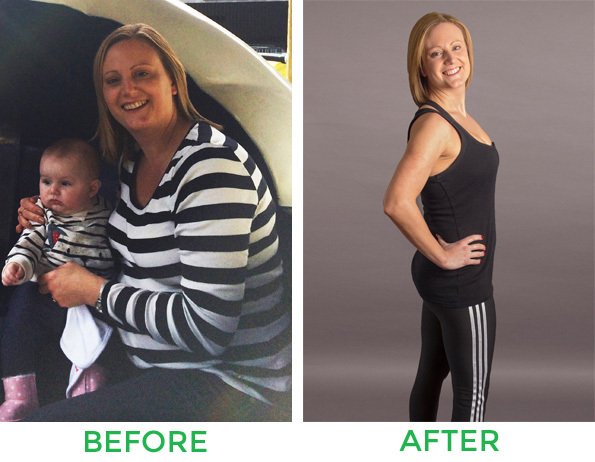 Boot camp has been completely different – sensible food advice with fantastic, enjoyable workouts and results that last long term. I loved it from day one. My confidence is through the roof! On top of my weight loss, my posture is so much better, I feel so much fitter, and people keep commenting on how my face and body shape have changed so much. – Alison R.
Tracy finally lost that last 7 pounds! After having a hysterectomy, I lost 2 and a half stone over 2 years through healthy eating and exercise. After losing the 2 and a half stone my weight hit a plateau for 5 months. It didn’t matter what I did, both with the diet and the exercise, nothing changed and I really wanted to lose another 7lbs. After sticking to the programme for 6 weeks, that’s exactly what I achieved! People cannot believe that I have only lost 7 lbs they think I have lost a lot more. 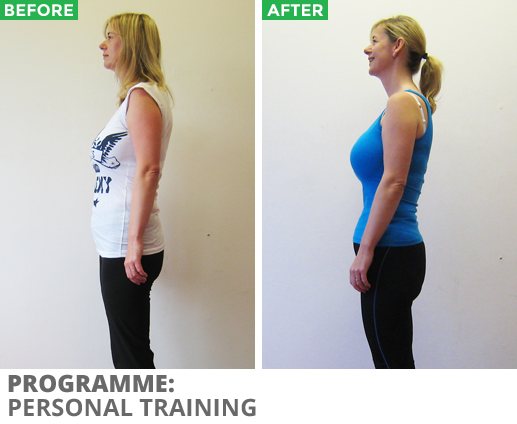 The programme has made a huge difference to my body shape! I have now set myself a new goal to lose a further 7 lbs and I know that this will be possible if I just repeat the programme again. 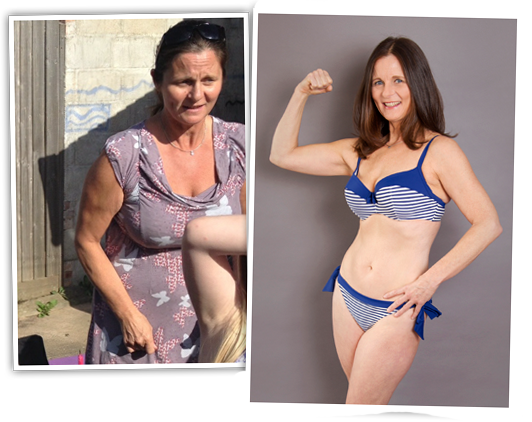 – Tracy C.
Our Quick-start meal plans are written out step-by-step so you don’t need to struggle with knowing what to eat, and with our archive of delicious, quick, and easy recipes, you’re never stuck for a tasty, fat-burning option! We’re not a Jack-of-all-trades studio. We do one thing and one thing only: Body Transformation. Our Metabolic Resistance Workouts are targeted to burn fat and raise your metabolism long after you’ve left the studio. Not only do you have access to our expert coaches, but with our PRIVATE Member’s Only VIP Facebook group, you always have access to our community of awesome like-minded members happy to give the support and advice you need. Nic lost over 2 stone to hit an all-time best! I topped 12 st 2 lbs, and wasn’t at all comfortable with the way I looked or felt. 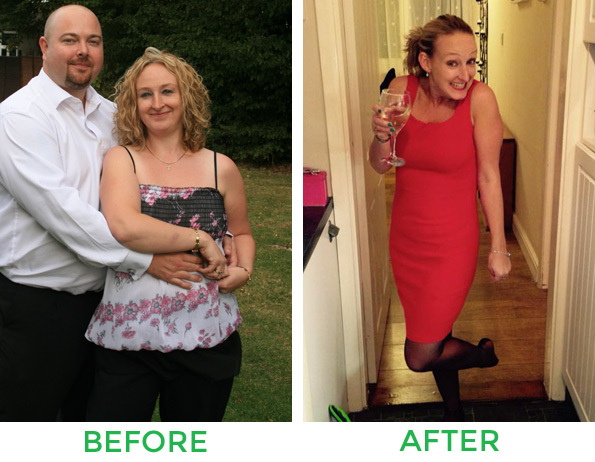 I had gradually put on 2 stone… It was time for a big change! I lost the first stone to look good at a school reunion. Boy did they get a shock when they saw me! After maintaining my new weight, I had a summer holiday looming, so again, Anthony was called in and at the time of writing, I’m currently at an all time low of 9 st 11 lbs! Now if I ever find that I’ve overindulged a little too much, or had one too many treats, I know exactly who to turn to to get me back on track. 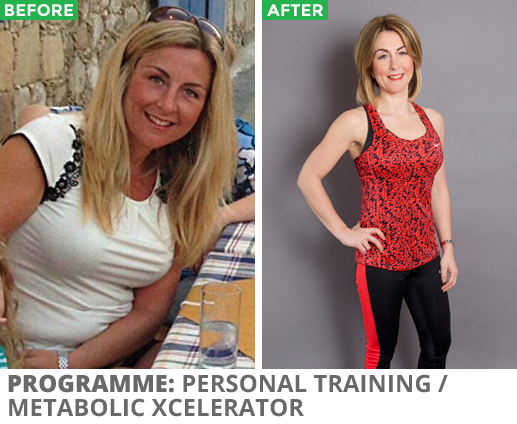 – Nicola L.
Martin dropped 3 stone to get a 32 inch waist! I love my food! Indian, Chinese, my wife’s cooking, along with friends that were very good cooks. When we went on holiday I had started to notice my stomach (OK, beer gut!) sticking out a lot more. 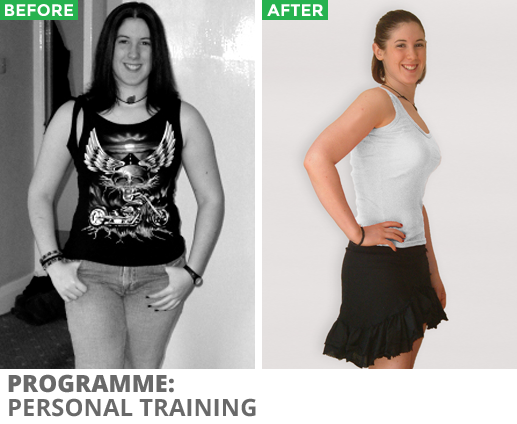 I had gone from a 32″ waist up to 36″ at one point and was just under 15 stone. So when a client mentioned Anthony was taking on new clients, I jumped at the opportunity and finally the pounds started to fall off along with my beer gut so I’ve been there ever since! Now I’m down to a much trimmer 12 stone, with a 32″ waist and a new wardrobe! – Martin D.
Laura lost over a stone and is in the ‘best shape I’ve ever been’! Having put on over a stone through poor diet and virtually no exercise, I needed to give myself a serious kick back in the right direction! I’d seen a close friend of mine’s fantastic body transformation through Bootcamp so decided to give it a go. I’m now in the best shape I’ve ever been, with a far healthier approach to what I eat and drink, and I look forward to getting up each morning to workout with my awesome fitness family! – Laura T.
Val lost over 40lbs – and ‘it wasn’t as hard as I thought’! I am French born and bred, so needless to say I am naturally blessed with a healthy obsession with good food and wine. Since getting married, admittedly I wasn’t living on crisps and chocolate, but I was eating too much. I had tried and failed losing weight before, mostly through starving myself, or meal replacement shakes that often contained as much sugars as a chocolate bar! My mind was set, I was ready to do something about “it”, and it hasn’t been as hard as I thought it might be! There’s a real community and family feel, and we all seem to be rooting for each other. Come along, you’ll be in good company! – Val G.
Nicola lost 2 and a half stone and wore a skirt for the first time in 15 years! I’m 43, married with 2 tweens and working full-time in London which means I’m usually on a train at 6 something in the morning and not back home until 7 or beyond… So when I saw a weight loss boot camp that I could actually make the 5.45 workout and still get to work before 9 I went for it! I have now dropped 3 dress sizes, 2 and a half stone of weight, and worn a skirt at work for the first time in 15 years, (I kid you not)! 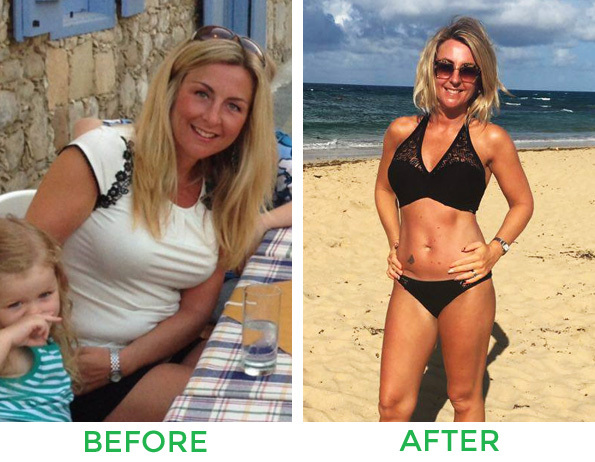 My family and friends have all been inspired to get fitter and I actually have something that I genuinely enjoy doing in my spare time – and I am looking forward to hitting the beach this year without worrying how I look! – Nicola H.
Louise lost over a stone! 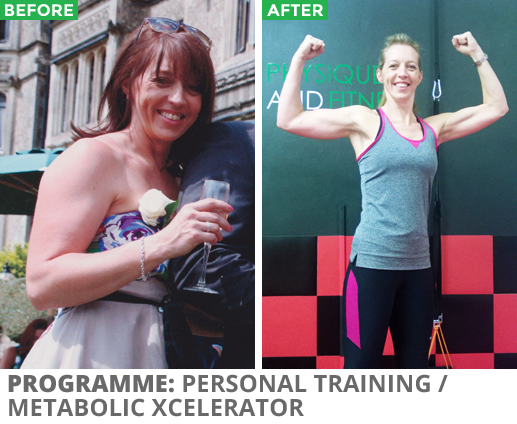 Since joining PW Physique and Fitness I have lost over a stone in weight, toned up and completely changed my eating habits. I have discovered that I love exercise – Yes I did say love!! I have never felt so fit and healthy! The support Anthony gives is awesome and he really understands and knows each individuals abilities and needs giving the appropriate advice. I can honestly say that I enjoy every minute I spend at the studio. – Louise B.
Sue’s determination has taken her from a size 16 to a size 8! The first step was the hardest, deciding I was important enough to invest time, money and effort in. I walked through the door, met Anthony and haven’t looked back. Hard work, grit and determination have taken me from a size 14/16 to a size 8. Having a laugh and a joke along the way has been fun, and the very unexpected bonus has been the friendships I have made. My self confidence has grown as I have felt better about myself and being able to buy a size 8 dress and feeling good in it has definitely made all those mountain climbers worth it. 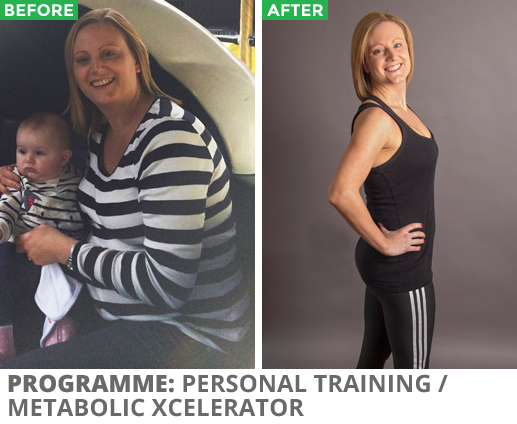 – Sue A.
Serena lost a stone and caught the exercise bug! I can honestly say you have really helped me turn my life around with regards to health and fitness. I now have a much better understanding of food… It makes perfect sense and the best bit is IT WORKS! I feel fit, motivated, and hand on heart love LOVE exercise! It’s all rubbed off on the Hubby too, he’s shifted 16lbs since July, eating what I give him and is now out of the diabetic danger zone! You deserve a gold medal for the hard work you put in to your classes and well-being of your clients! – Serena S.
Angie lost 17lbs and inspired her teenage daughter! I started to battle with my weight in my thirties. Before that I was slim and could eat what I wanted… Which was the problem! When I started to pile on the pounds I didn’t know where to start. So the pounds continued to creep on, and although I accepted this was happening, I wasn’t happy! Not only did I get down to my target weight, but I am still there over one year on and feel like I have finally found the solution to losing weight and keeping in better shape… And buying clothes that fit! – Angie S.
Mark lost 3 stone to swap his keg for a six-pack! I was flicking through holiday photos and it was then that it hit home how much the weight had gradually crept on over the years. My dad died at 50 following a long-standing heart condition, and at 46 now with a son and a daughter myself, those photos really put it in front of my face how overweight I had become and that I could be wandering down the same road. I’ve been training with Anthony for around 4 months now, and not only am I 3 stone down now, but I’m in at least as good, if not better shape than when I was in my 20s. Plus, not only can I keep up with my gymnast daughter now, I’ve got a six pack of my own! 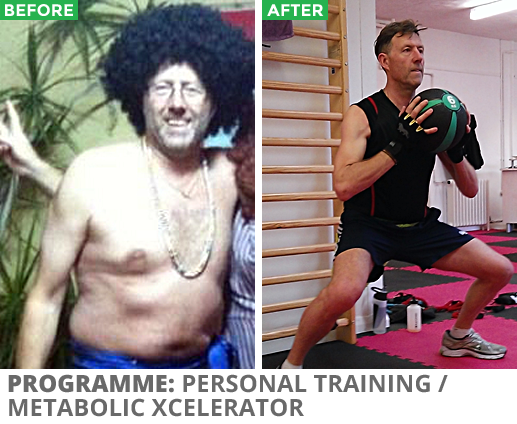 – Mark M.
TAKE ADVANTAGE OF OUR WEB SPECIAL AND TRY SUSSEX’S #1 FAT LOSS PROGRAMME FREE! Or call 07914 798 348 to find out more and book your FREE session today! GET LEAN, FIT, AND ENERGISED GUARANTEED! 30 days from now, you can either be one month older and a few pounds heavier, or you can be 10-15 pounds lighter, and one month closer to your goal of being lean and fit! 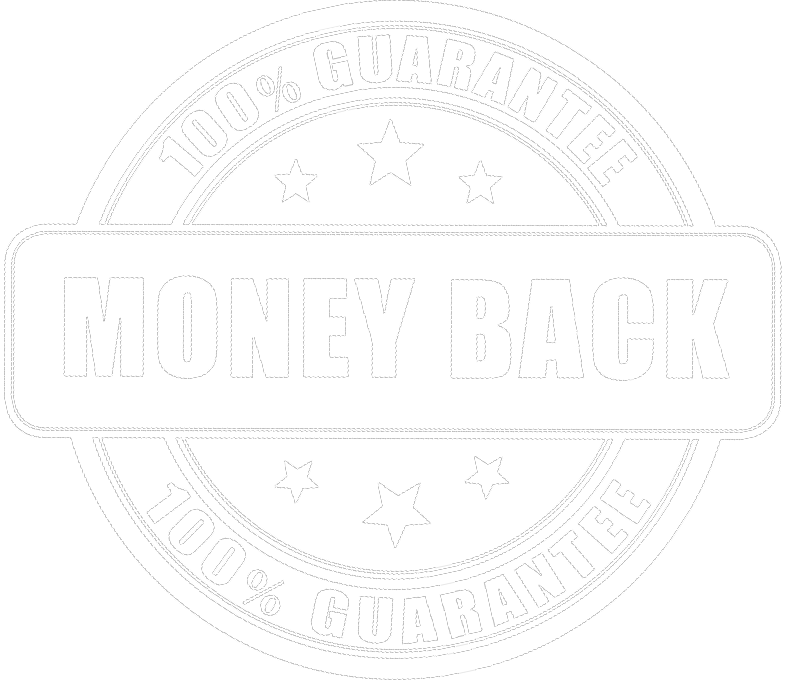 I’m so confident you’ll be happy with the results you’re getting that if you’re not 100% happy 30 days in, I’ll give you your money back… No quibble, no fuss! You’ve seen what I can do for you, and have done for countless others. So you can click away from this website, and continue as you have until now, getting the same results you’ve always gotten. You can struggle with diet after diet, hoping the next one will be the one that lives up to its promises. You can do endless crunches, run for miles, and look down at the number on the scales wondering where you’re going wrong. You can grab that extra layer of fat by the scruff of the neck and show it the door. You can strengthen, sculpt, and tone your muscles and turn heads when you walk into a room. You can make your friends and family beg to know what your secret is. You can get your hands on 20 years of personal and professional training experience to show you how to work muscles you didn’t even know you had! Just fill in the form below today to book your FREE workout and take advantage of our web special!